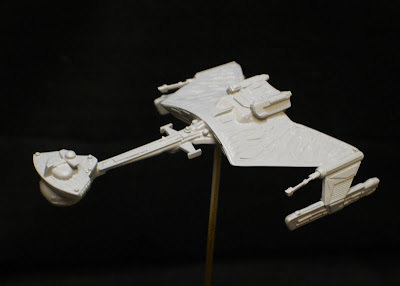 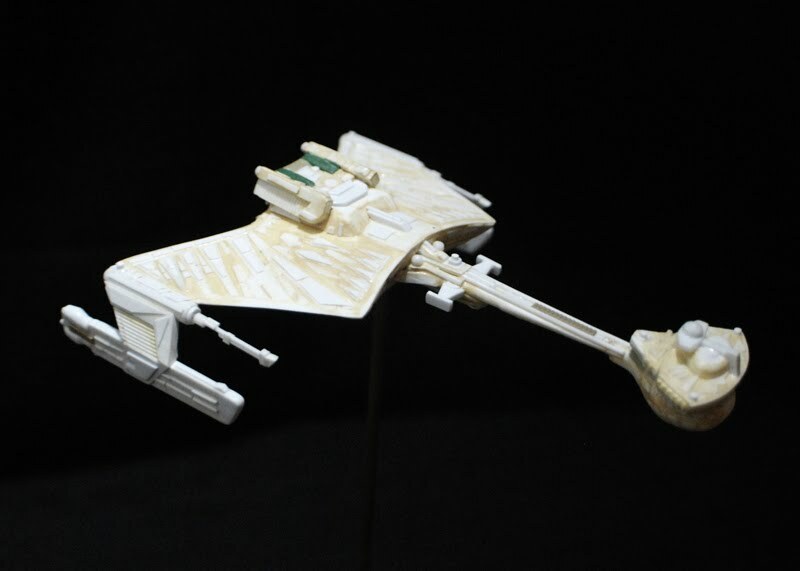 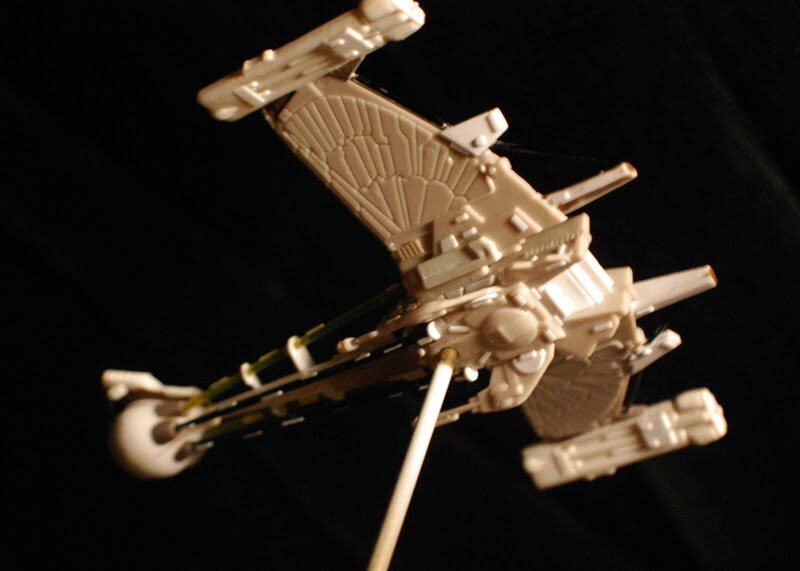 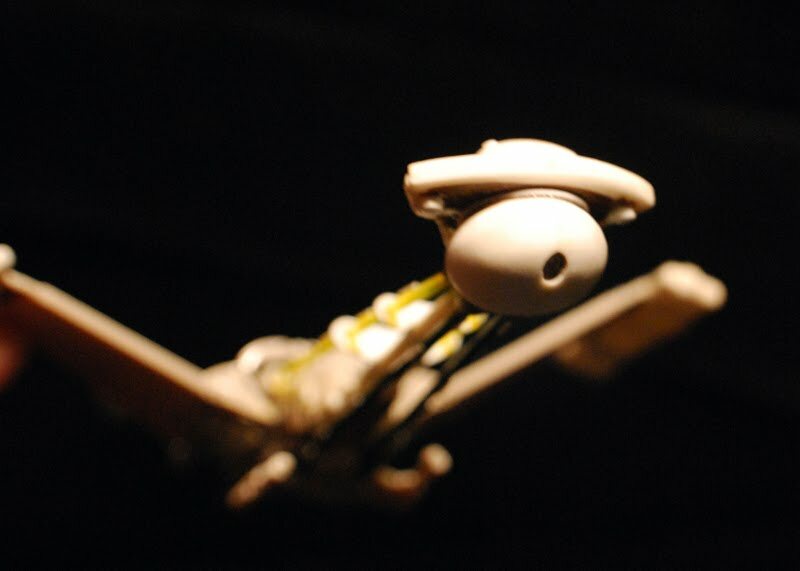 Here's a few pics of my 1400 scale Klingon "Warbird" Style Cruiser. 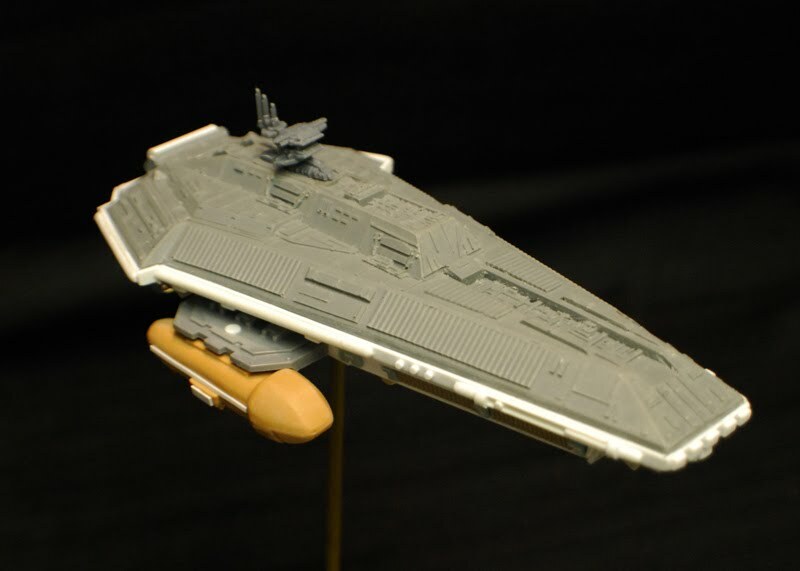 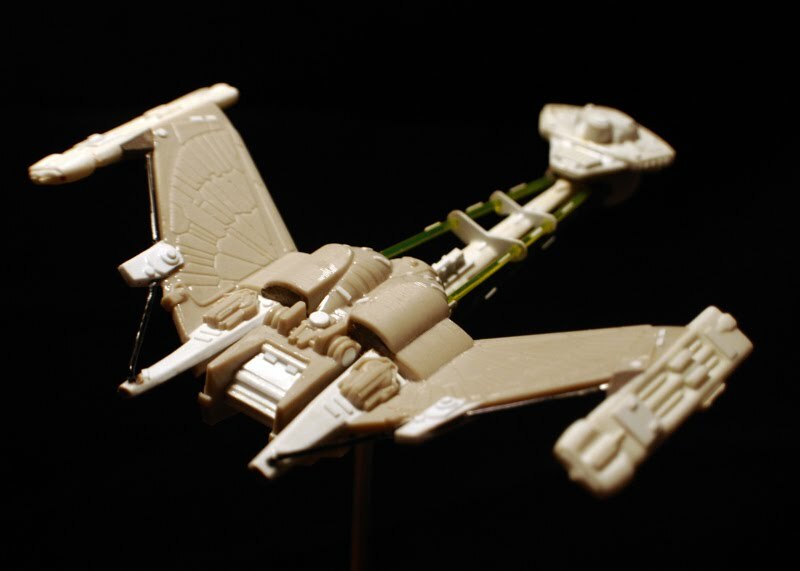 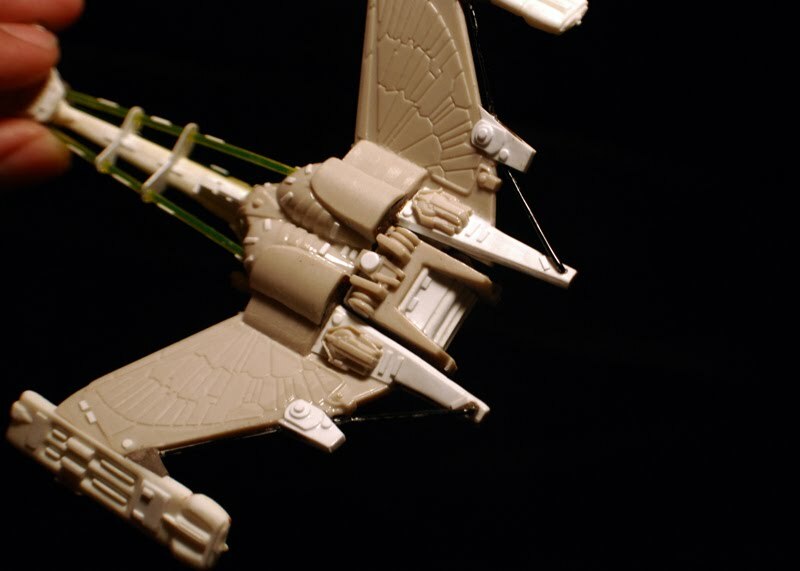 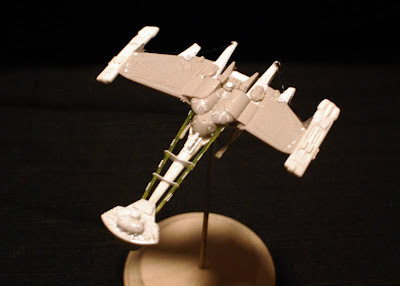 Over a decade ago I attempted to convert a 1400 D-7 into a Ktinga by added hull plating and styrene details...then Ravenstar's Ktinga came out with 10x more detail than I could produce on mine so I threw the partially finished scratchbuild in a box somewhat defeated. 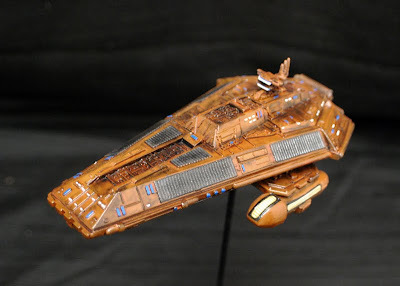 Here's a few pics of a Kitbashed Cardassian Ocett Class Light Cruiser. 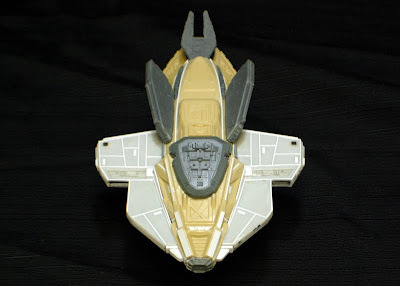 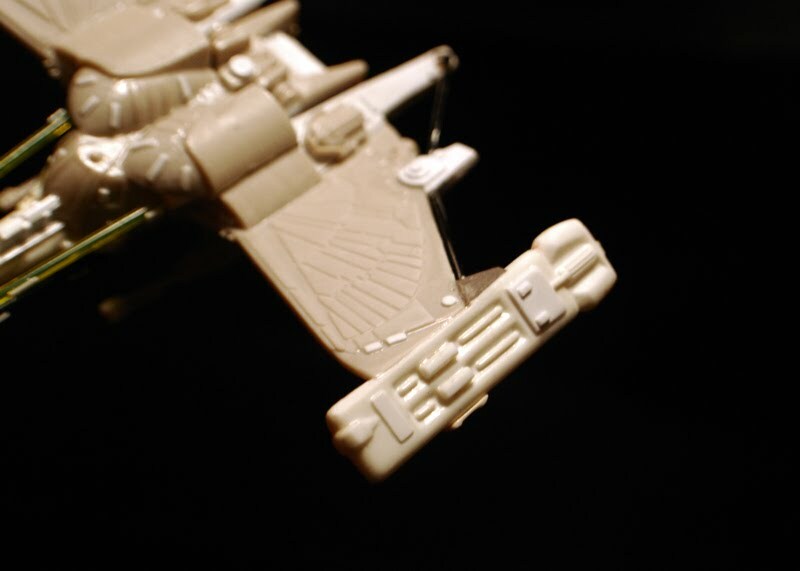 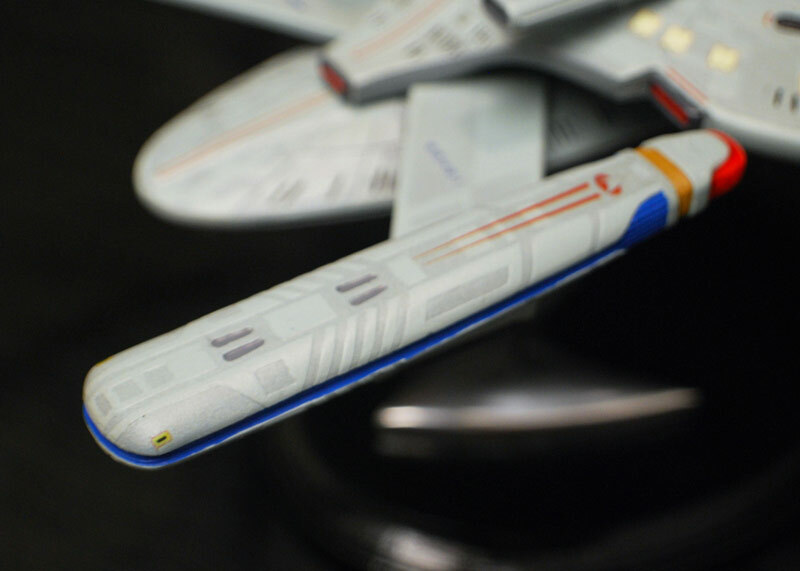 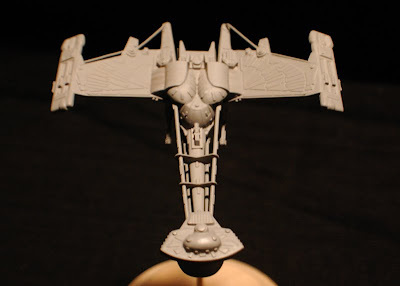 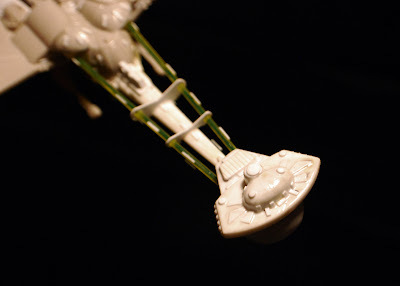 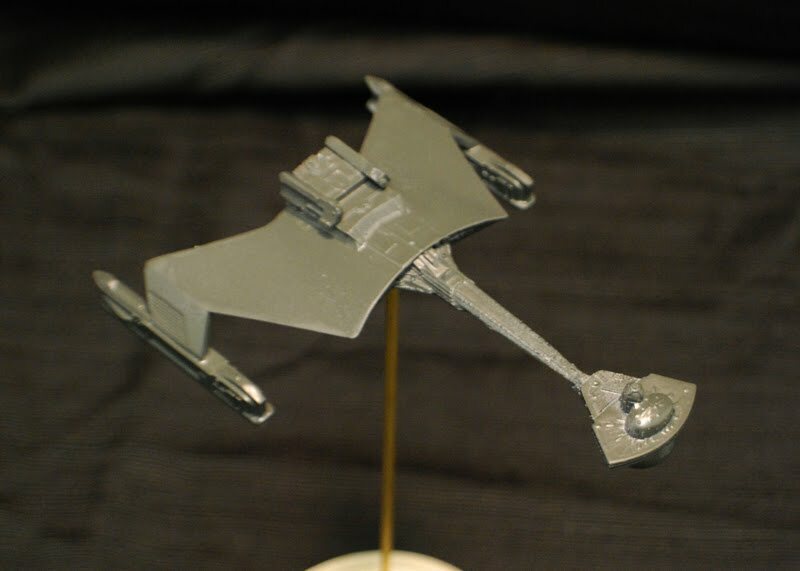 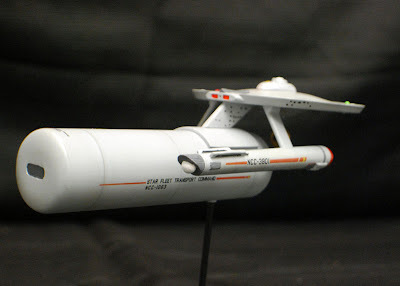 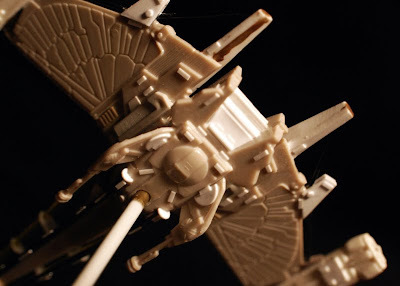 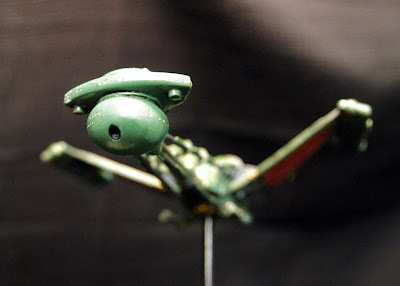 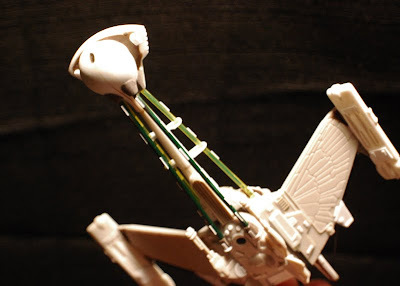 The core of the Ocett Cruiser is a Kazon Torpedo (the most useless Trek kit ever) with wings fused from an AMT Galor and detail parts form a Warp Models Keldon Class Cruiser. 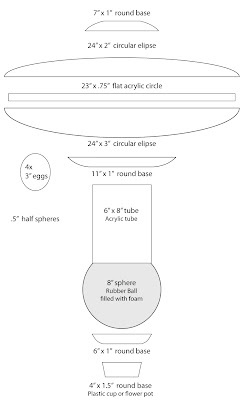 What do you do if you have extra parts? 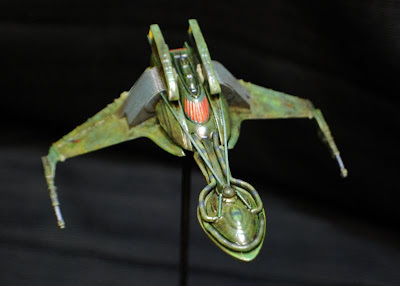 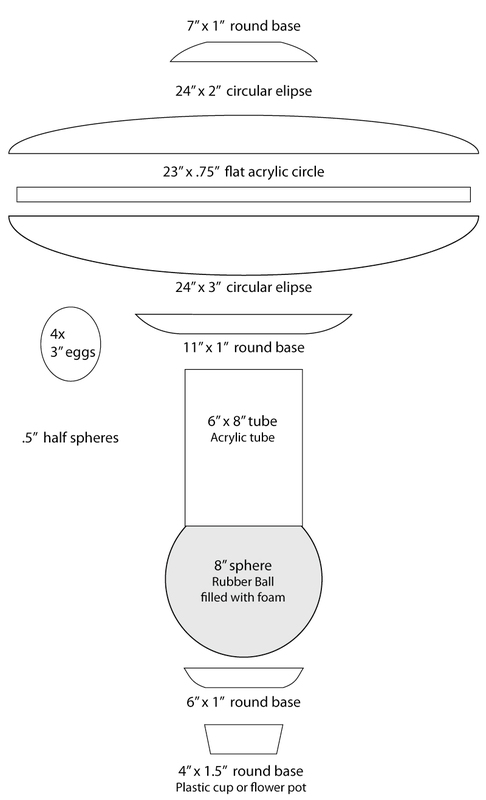 Make a 1400 Scale Bajoran Freighter! I've had this Starcrafts model for years. 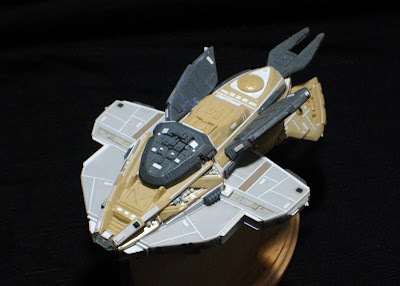 I painted it about a decade ago and recently decided to strip it down and paint it again. 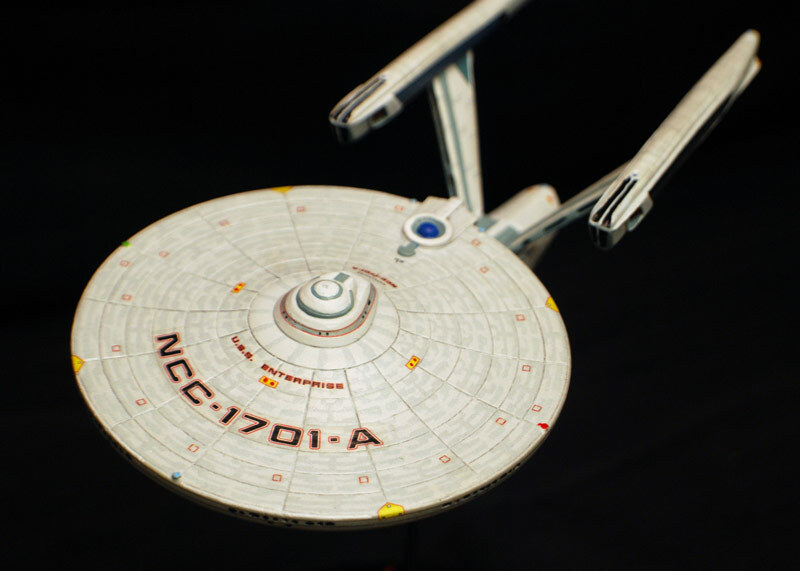 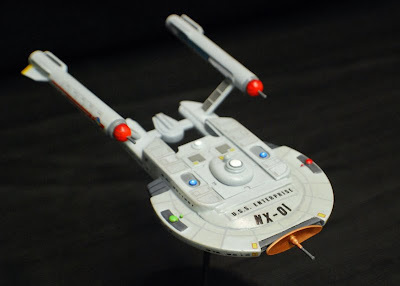 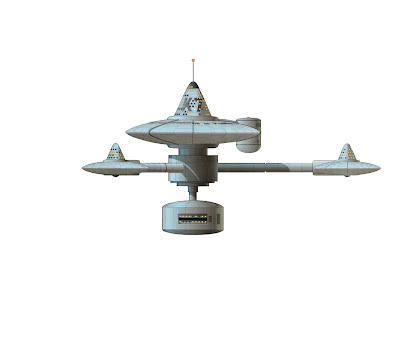 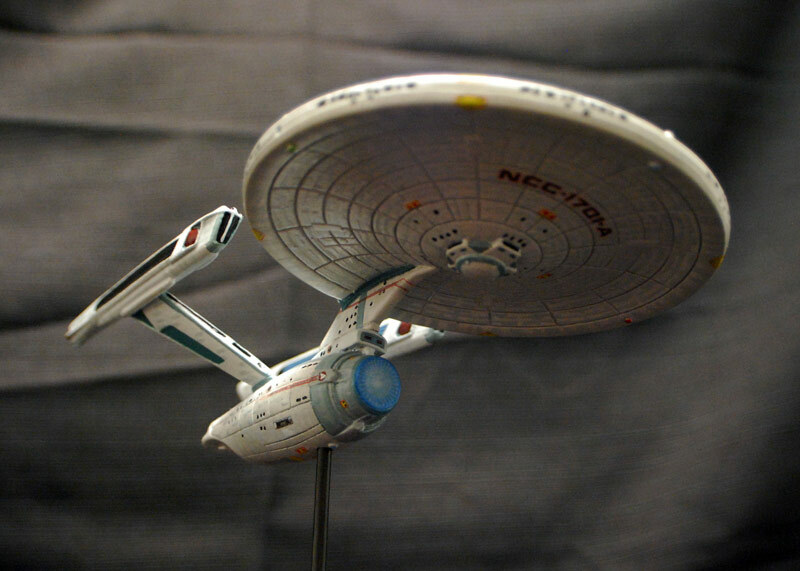 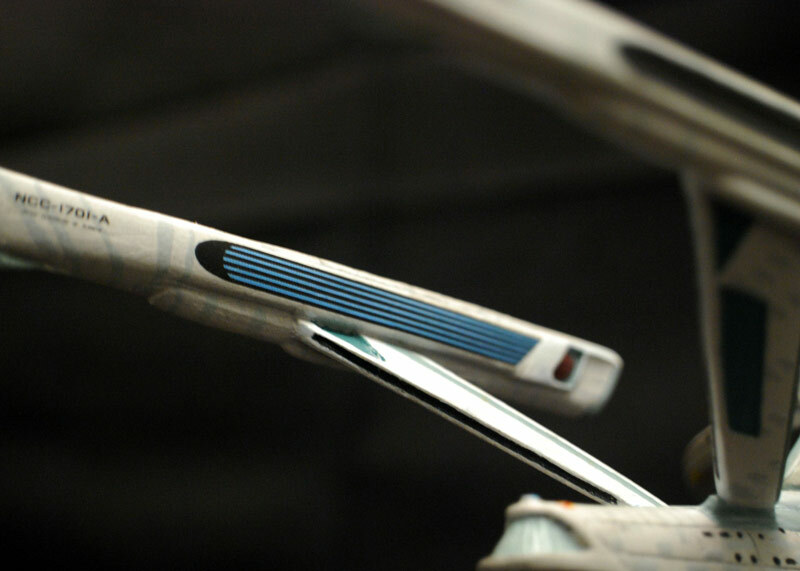 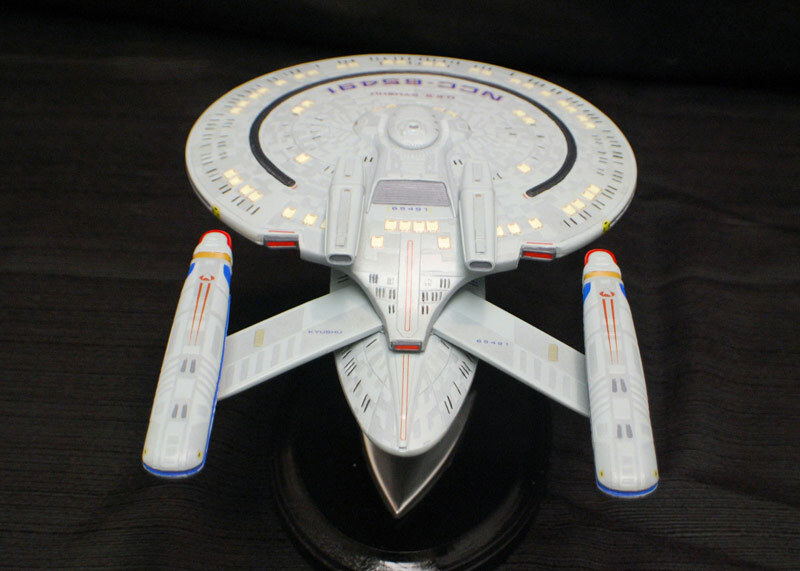 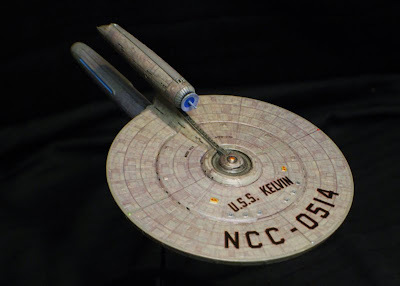 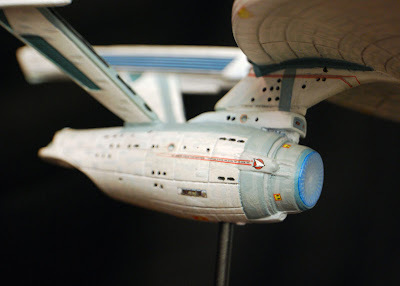 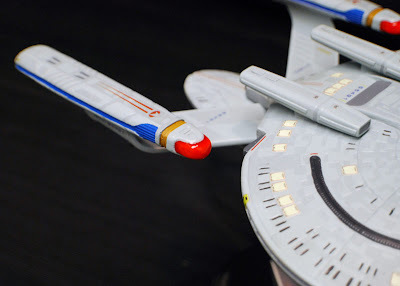 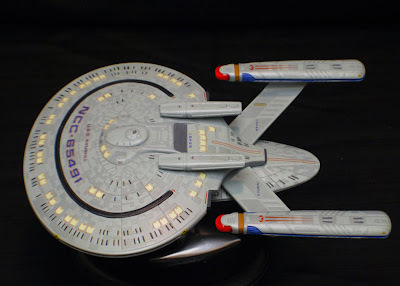 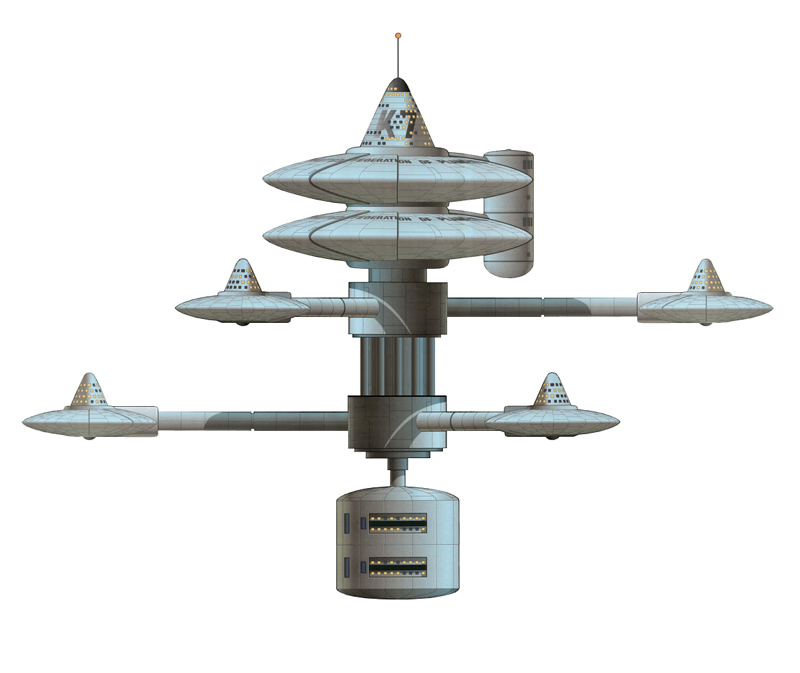 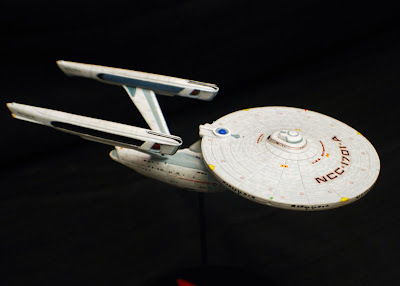 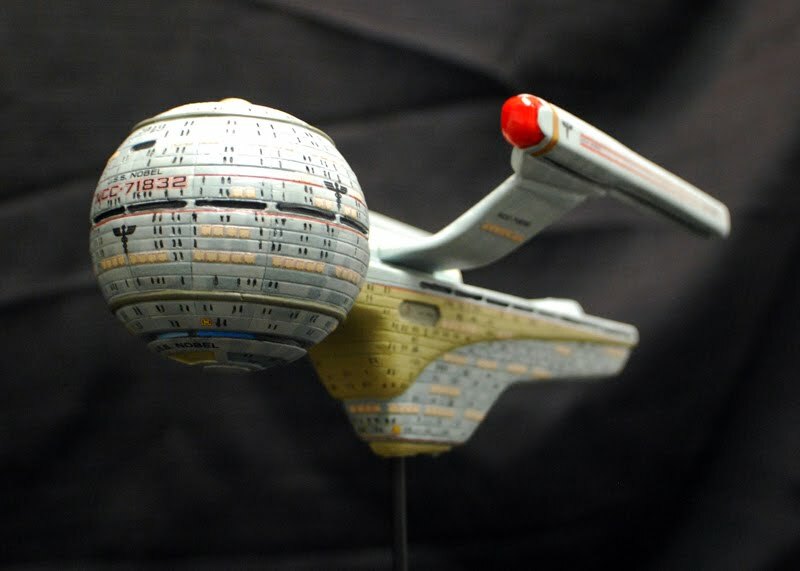 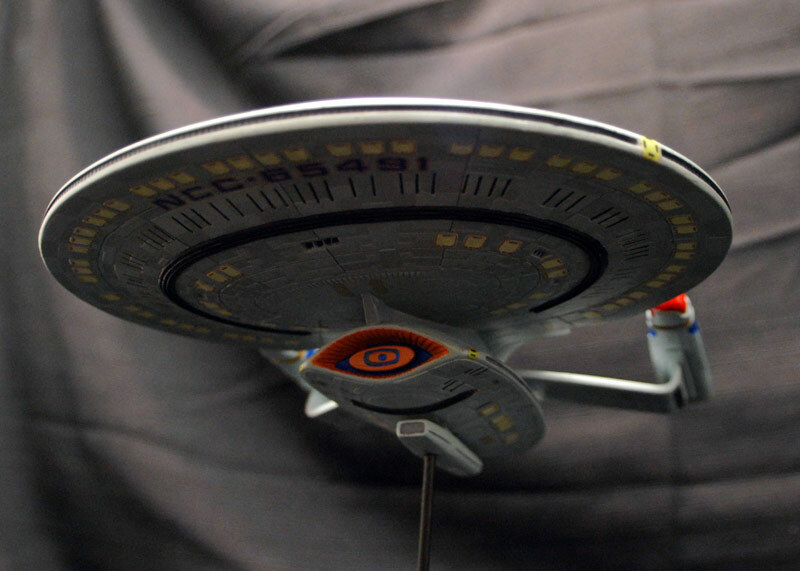 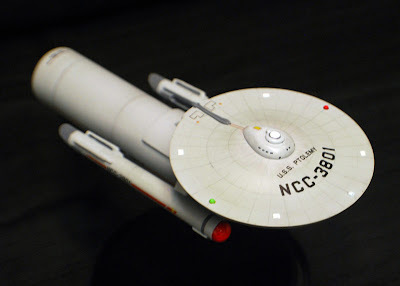 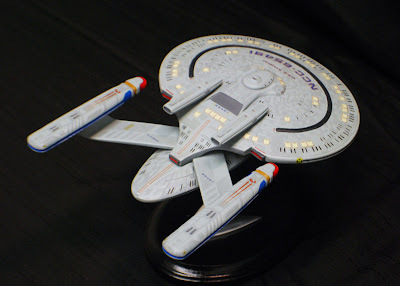 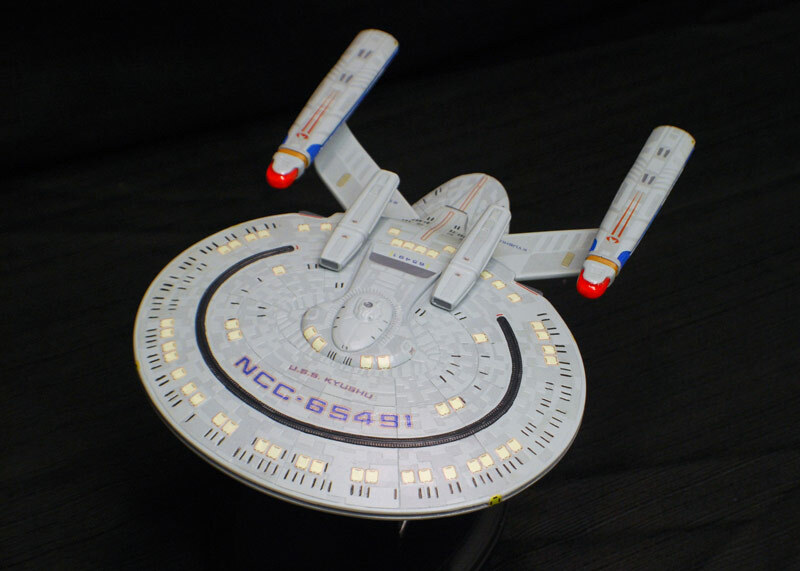 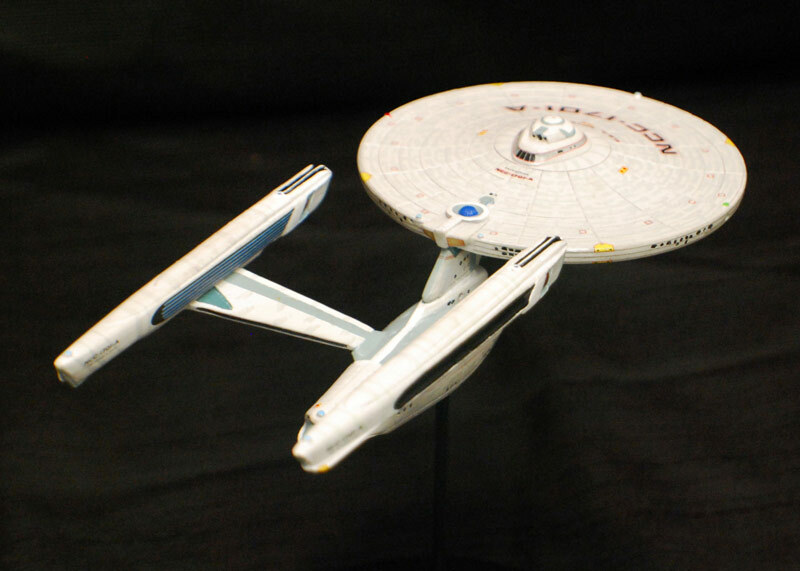 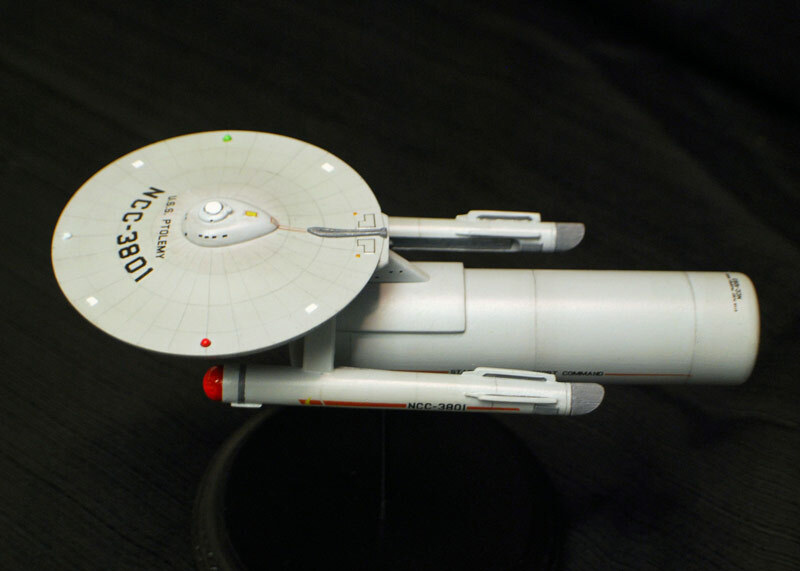 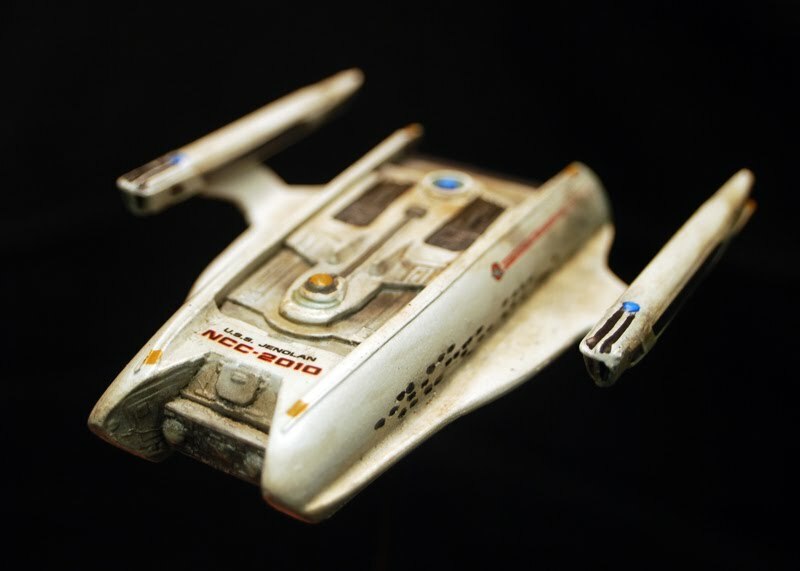 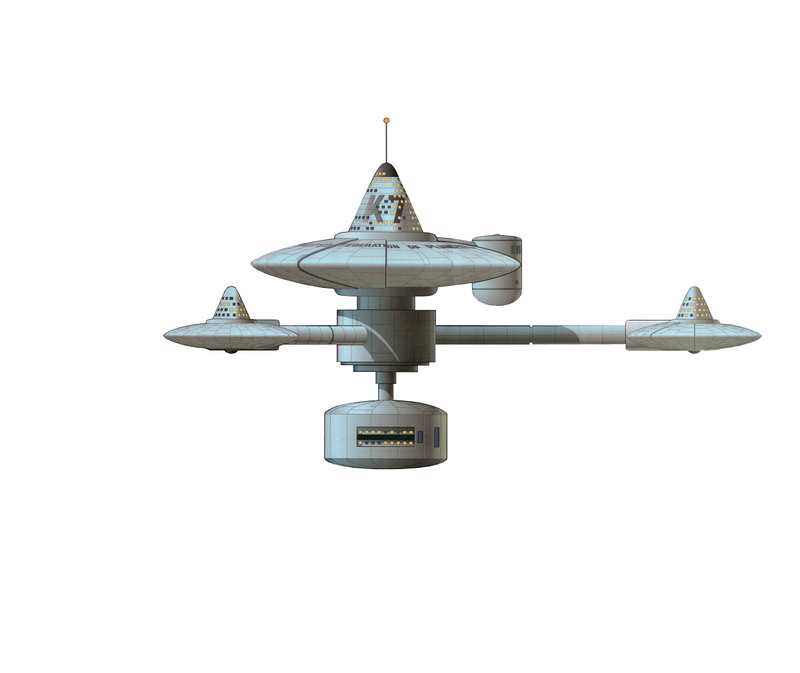 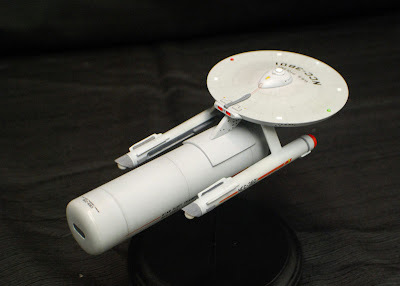 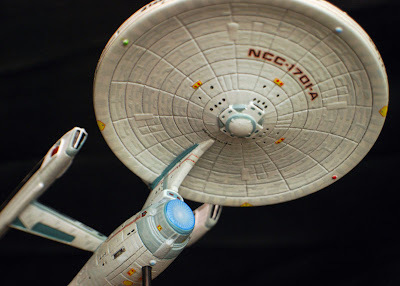 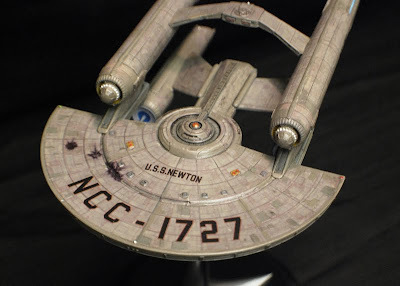 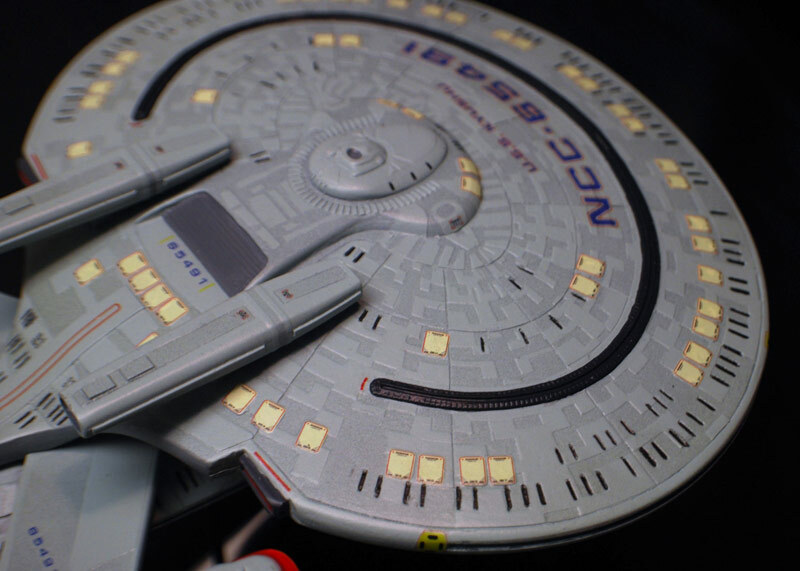 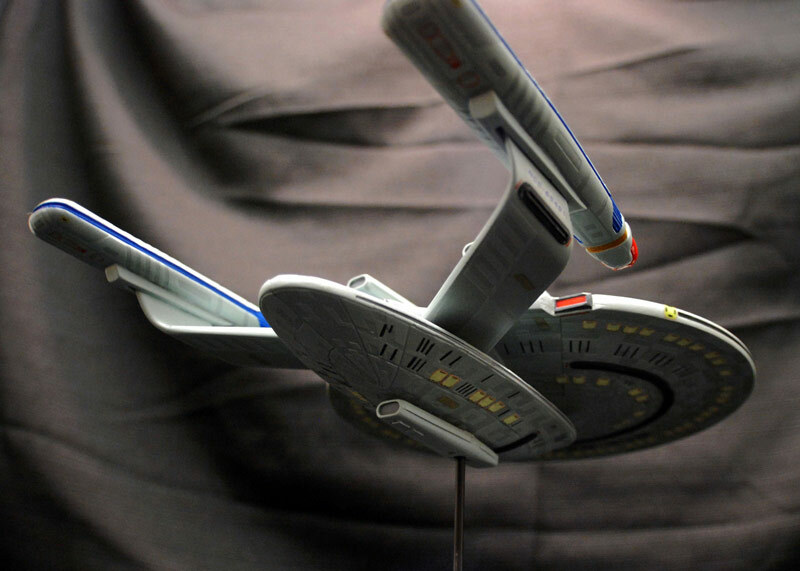 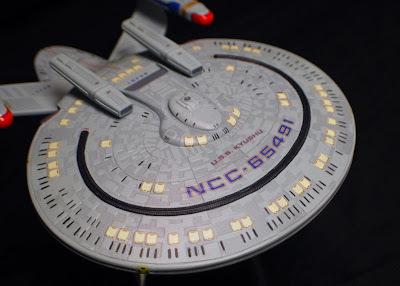 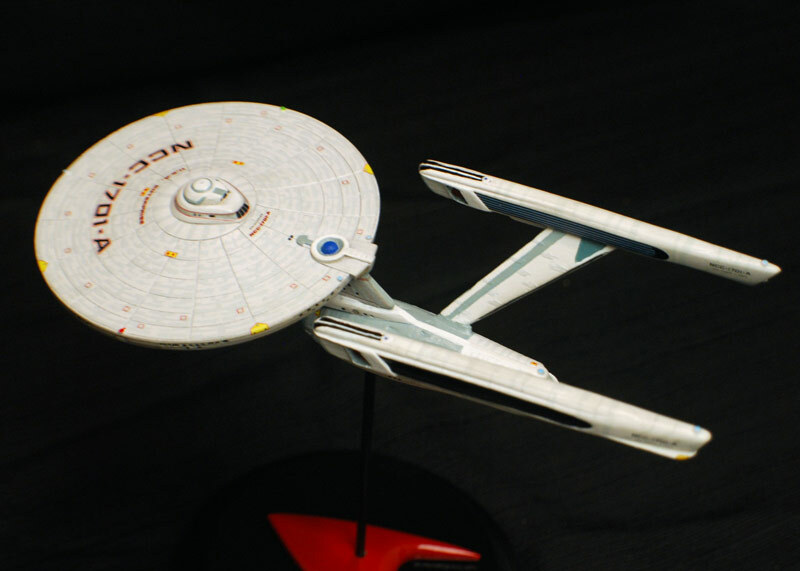 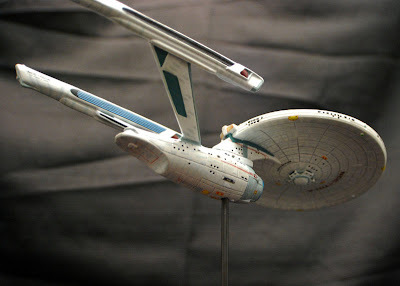 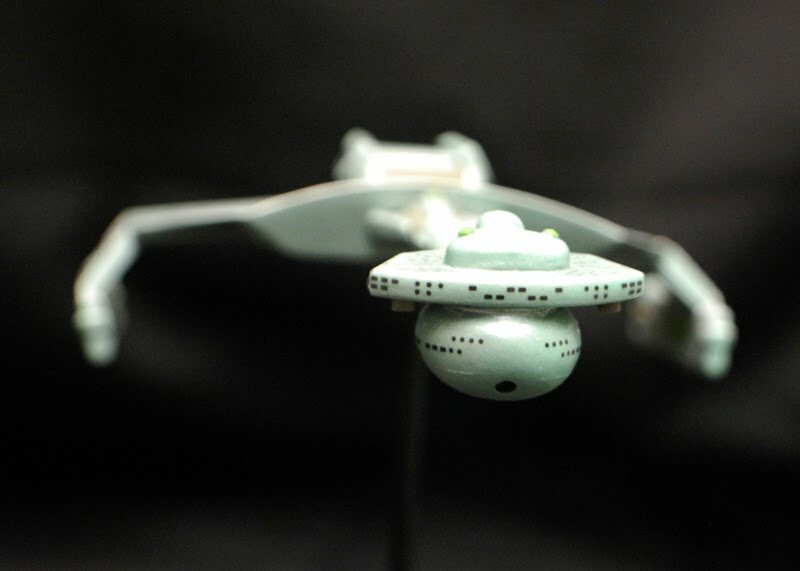 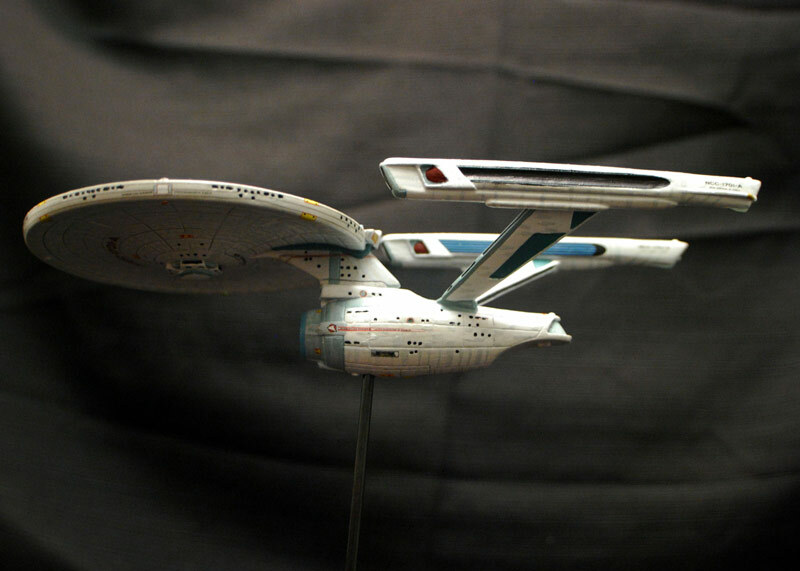 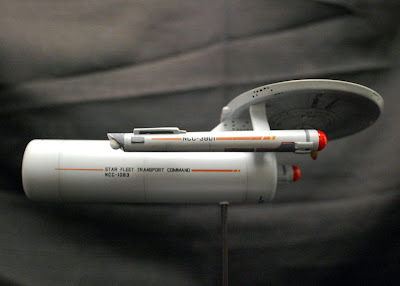 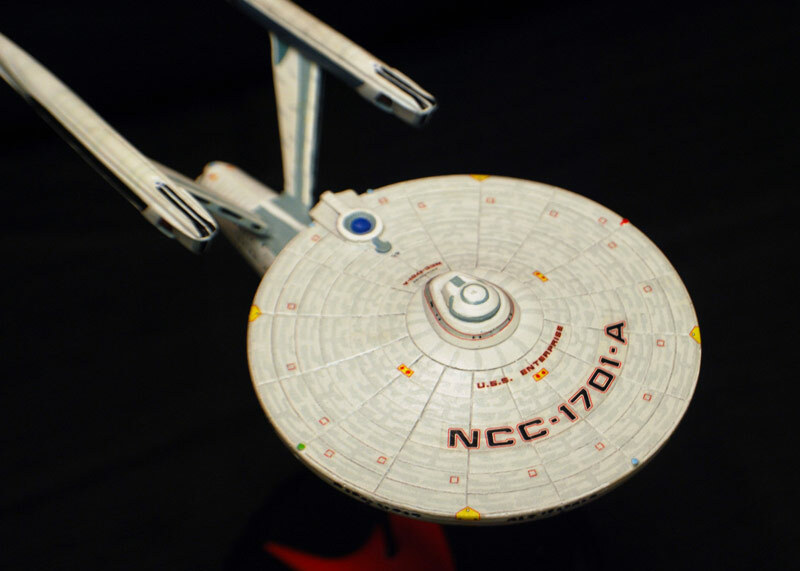 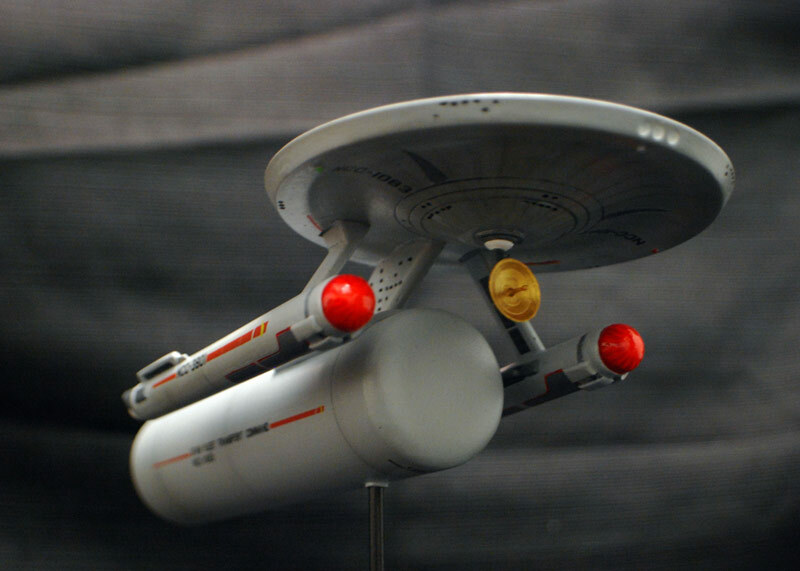 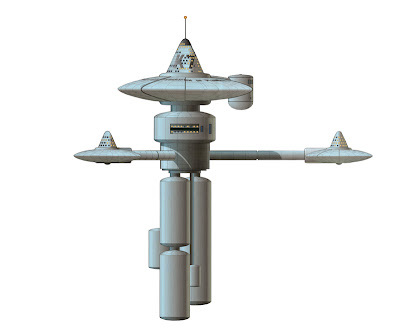 Here's the USS Jenolan from the TNG episode relics. 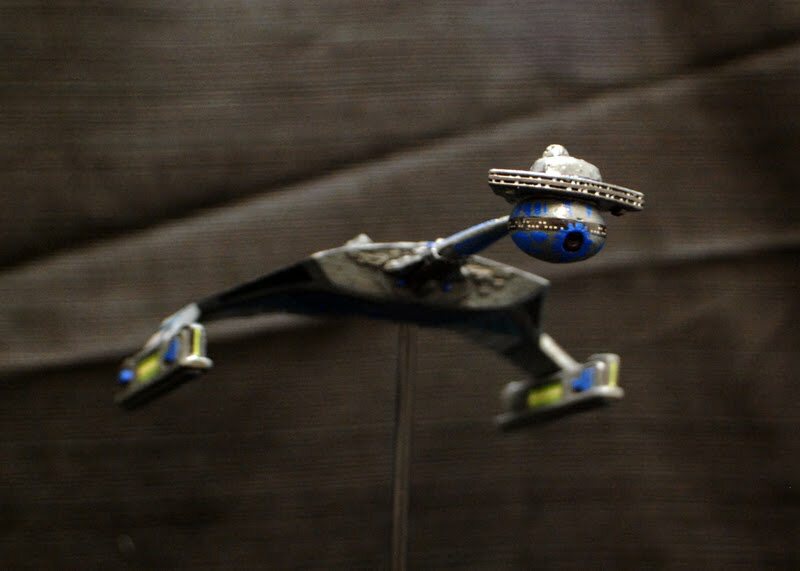 Here's a few pics of my recently completed 1400 scale Klingon D7.